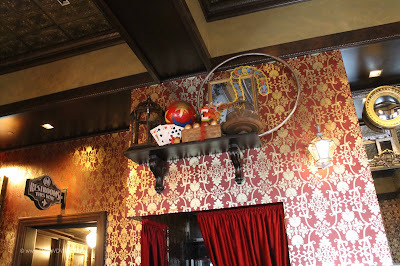 Magic and mystery are the themes evoked at the newest addition to Disney's Boardwalk at the Walt Disney World Resort. 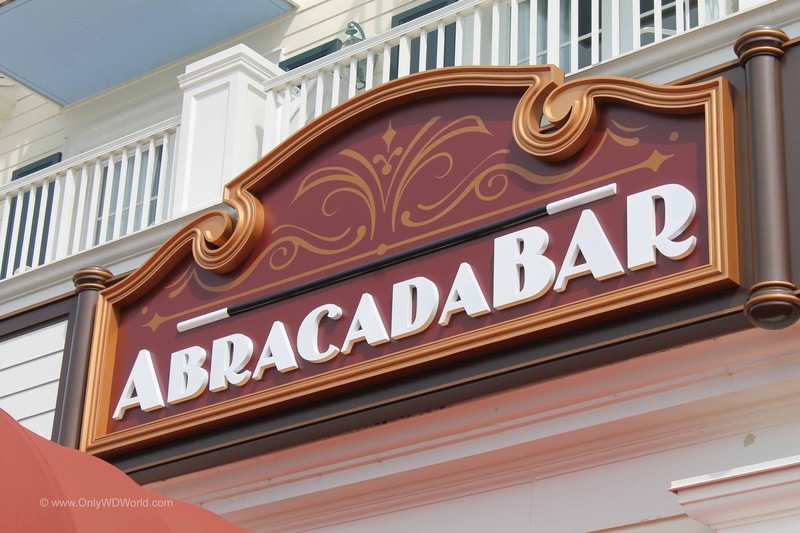 Abracadabar moves into the space between the Flying Fish and Trattoria al Forno with a backstory shows why it has a longstanding history of belonging at Disney's Boardwalk. At Disney World there is no such thing as just a bar! Disney World is about storytelling and the Abracadabar comes to Disney's Boardwalk with a great one. Before we review the drinks, libations,and decor, let's delve into the backstory of this mystical place. 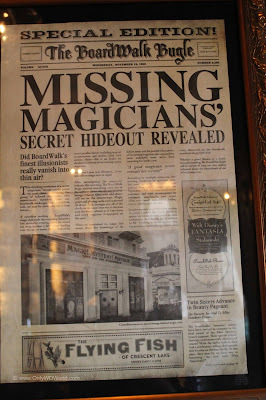 As posted on this newspaper article framed on the wall dated November 13, 1940, the great magicians of the Boardwalk have disappeared. 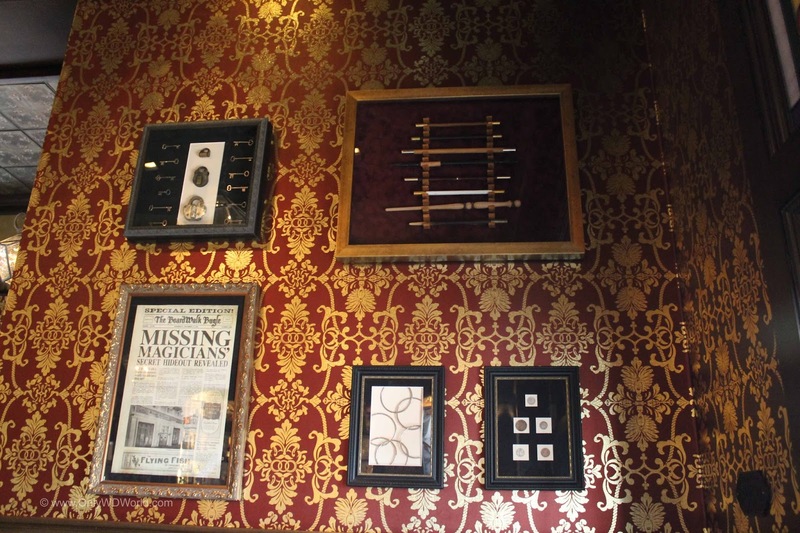 There are very few clues to there whereabouts beyond the discovery of a secret room with some interesting cocktails and other magician's props lying about. There is no answer to why the magicians have disappeared, but you obviously have been transported into a place that they frequented with many of their magical props left behind. 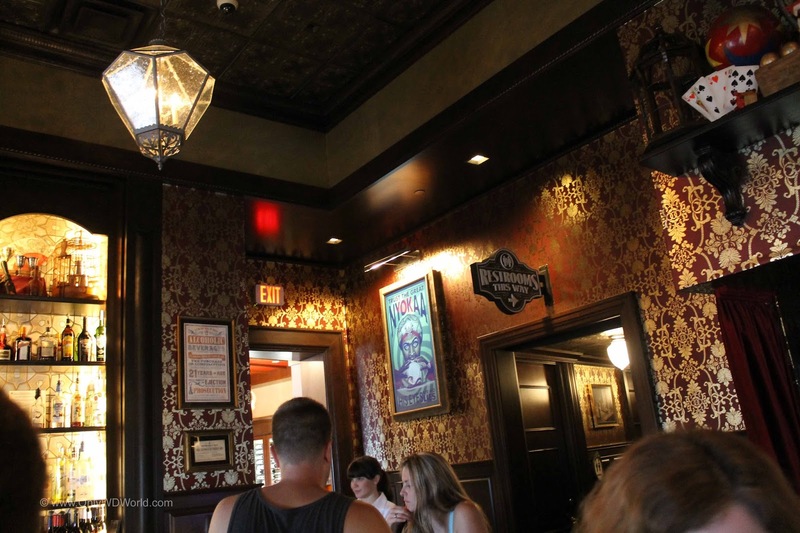 You definitely get the feel that you have been transported back in time when you enter through the doors to Abracadabar. 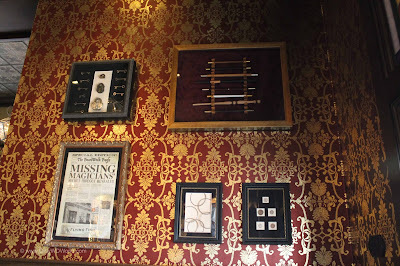 There is an amazing array of artifacts to investigate and explore while you are there. 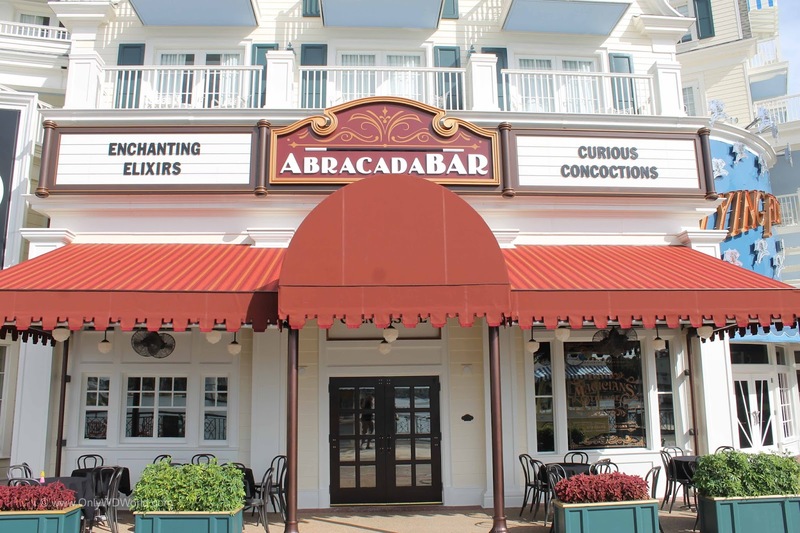 They tell the backstory and further develop the theme for this former hangout for the most talented illusionists on the Boardwalk. 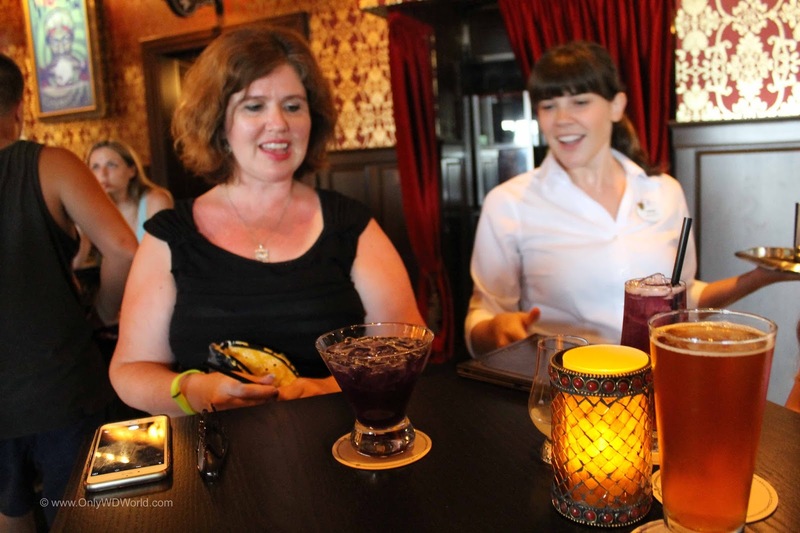 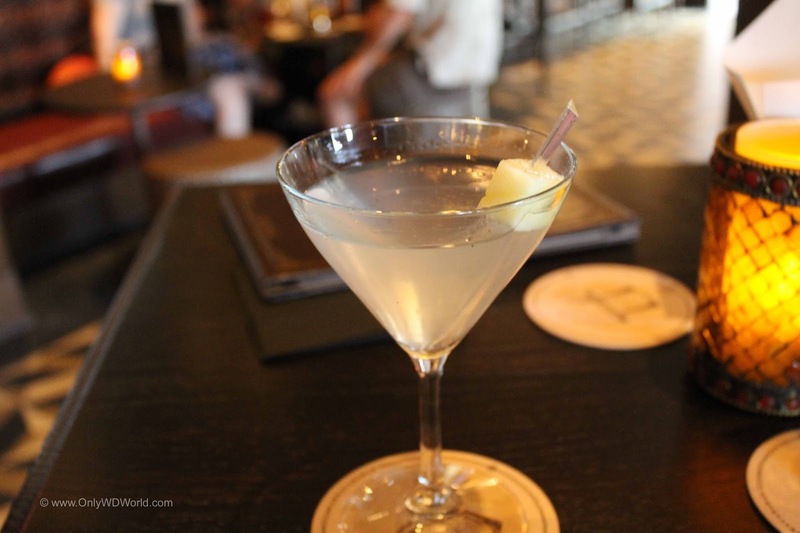 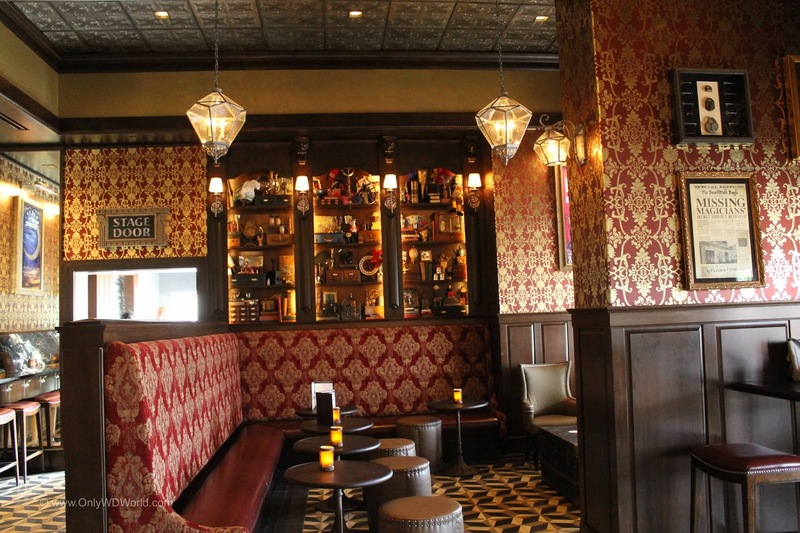 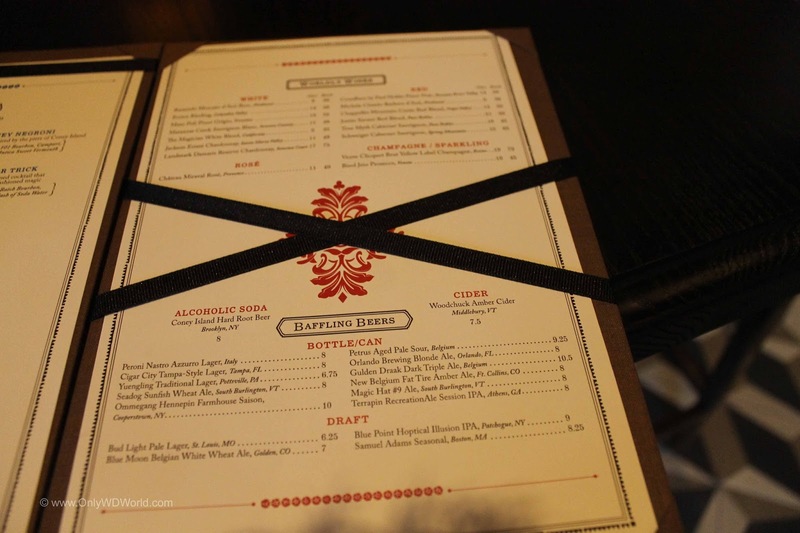 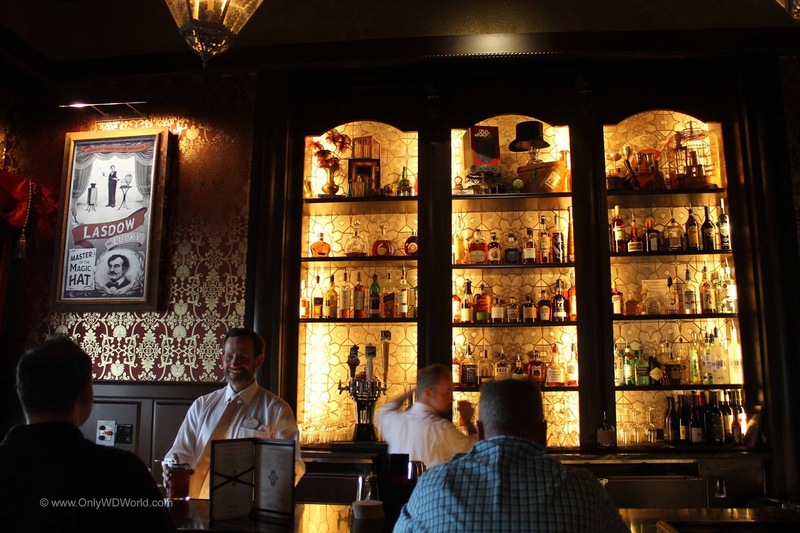 Don't expect a Disney World bar to be boring. 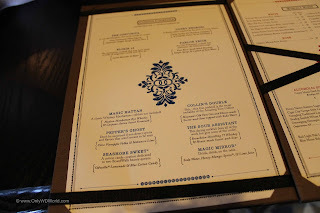 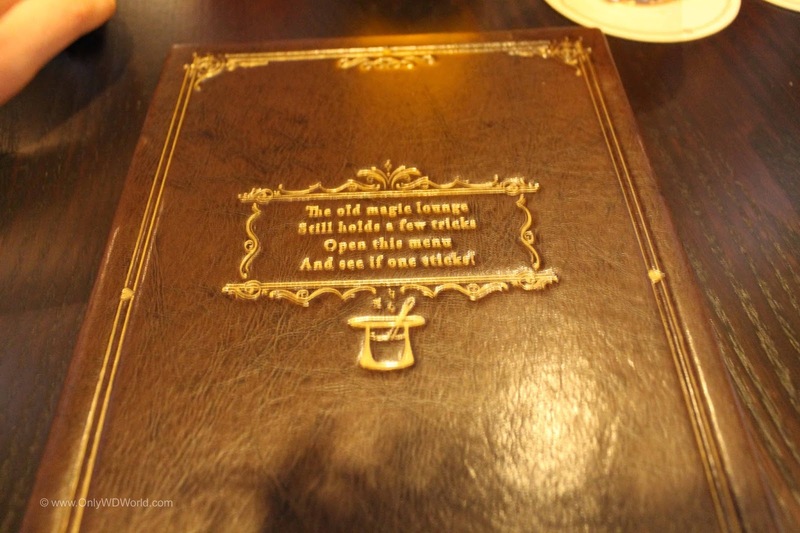 Even the menu can provide interesting insight to the theming and backstory of the location. The Sour Assistant - This daring cocktail does all of the work but gets none of the credit! 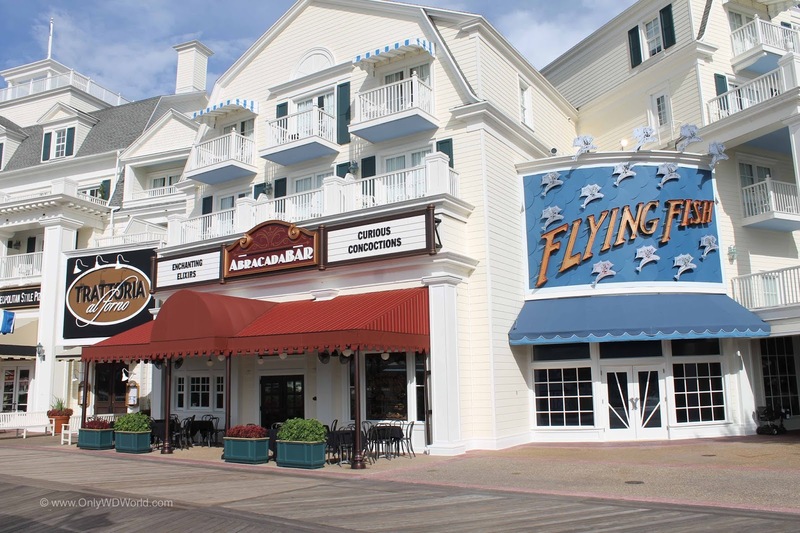 Seashore Sweet - A cotton candy creation dedicated to two Boardwalk beauty queens. Just like the billboard states there are many interesting libations to choose from. 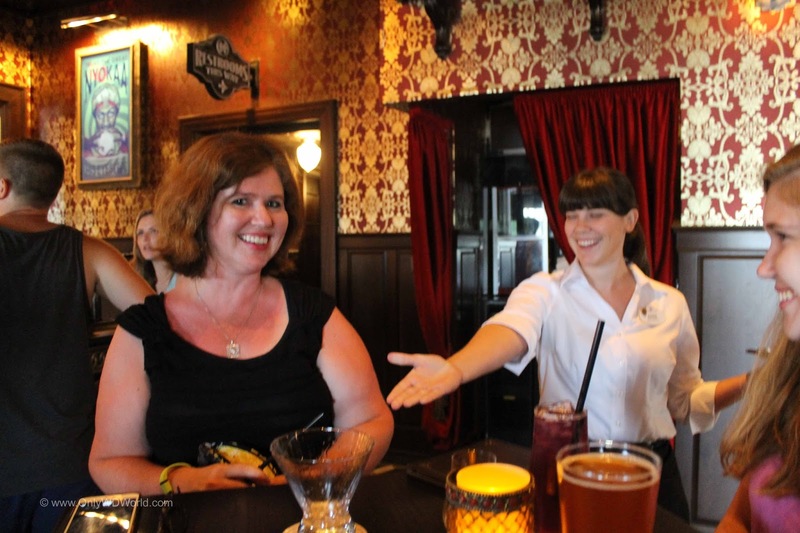 The above is a demonstration of the presentation for the Conjurita. 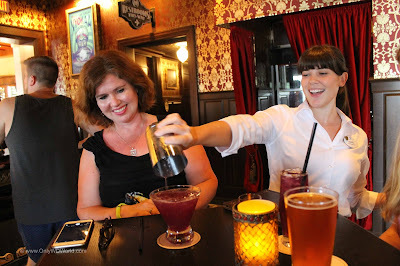 This magical drink starts out being a very dark colored drink, then due to the impressive magical kills of Annie this drink turns into a light purple hue. We also sampled the Pepper's Ghost and have to say that this interesting libation packs a peppery flavored wallop that made this a drink to remember. The newest stop at Disney's Boardwalk is one that adults will certainly want to visit. This low key bar/lounge has plenty of interesting decor amongst its magical motif to provide a great location to experience. This is pure Disney fun. 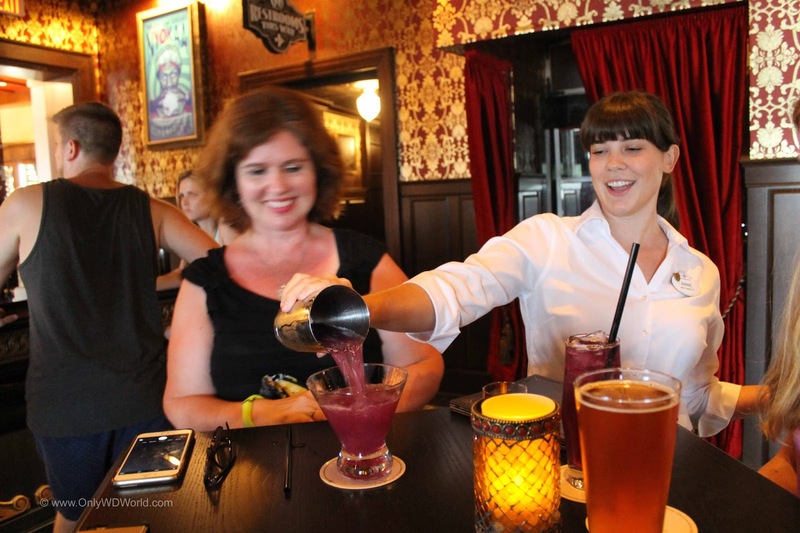 The staff at Abracadabar enhances the backstory of this interesting place and make it fun. OnlyWDWorld would definitely recommend Abracadabar as a place to visit before enjoying a meal at either the Flying Flish or Trattoria al Forno.! 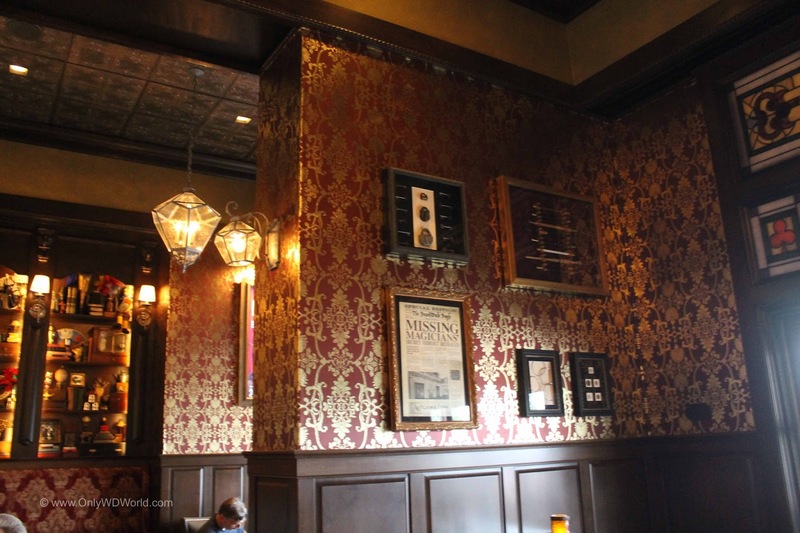 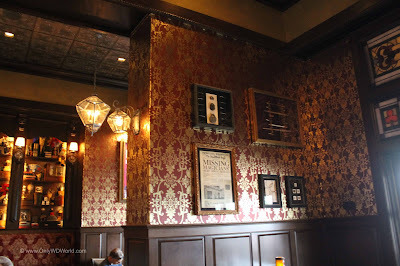 0 comments to "Abracadabar: A Review of Disney World's Newest Lounge"